Girls cross country pictured after their CCS win on Saturday, Nov. 18. Photo courtesy of Pam Tso McKenny. 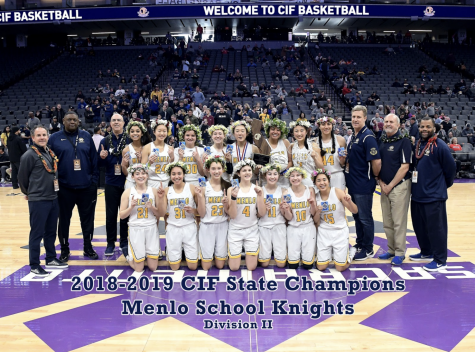 This fall, Menlo athletics did extremely well, sending six sports to the Central Coast Section (CCS) tournaments and further. All fall teams excluding football qualified for CCS. The fall teams that qualified were boys and girls cross country, boys and girls water polo, girls golf, girls tennis and girls volleyball. Out of the seven teams from Menlo that qualified, two of the teams won the CCS finals, girls cross country and girls water polo. 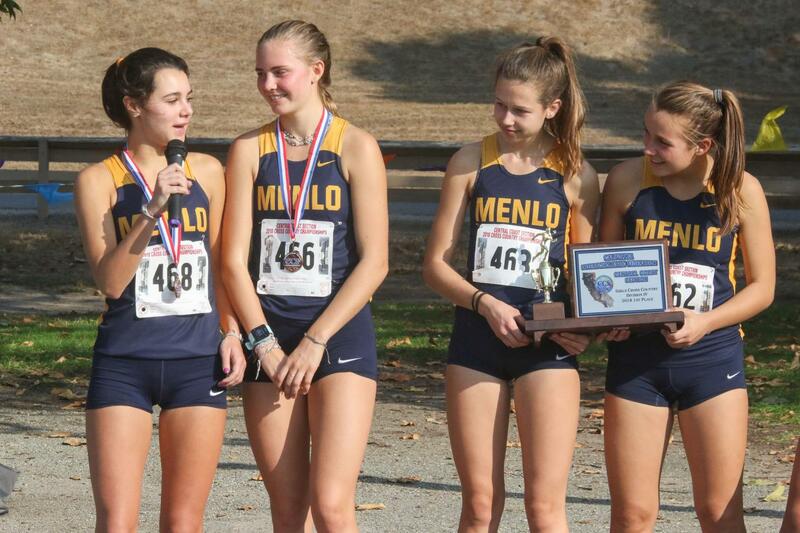 Girls cross country has had a very successful season and they just recently finished competing this past Saturday, Nov. 18, when they won the CCS meet. 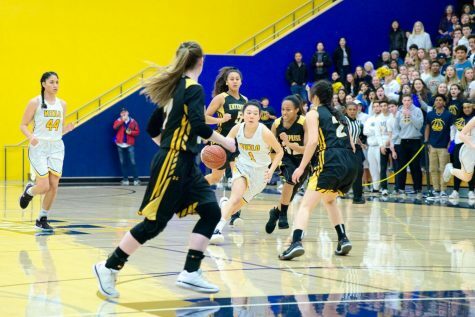 After winning their league, the girls team advanced to CCS. The CCS race was postponed a week due to air quality. Junior Charlotte Tomkinson, the team’s lead runner, was very excited going into Saturday’s race. “We’ve all been training really hard for this [race] all season, and are excited to give it everything on Saturday,” Tomkinson said. The team won the meet, with all of Menlo runners in the top 33 of over 90 girls competing. “We worked so hard for this all season, and to accomplish our ultimate goal as a team was so rewarding! We’re now looking forward to giving it everything on Saturday at State,” Tomkinson said prior to the race. Along with girls cross country, the boy’s cross country team had two runners qualify for CCS as individuals. Sophomore Kamran Murray and Senior Josh Eichbaum ran this past weekend in hopes to advance to the state championship. Murray qualified for CCS by earning second place at the league finals, racing with an average mile time of five minutes and 31 seconds. Eichbaum also qualified for CCS with an impressive race at league finals, placing 21 out of over 50 runners. “Josh [Eichbaum] and I will be racing at a course that we know all too well and are ready to give it our best come time to race midday Saturday,” Murray said. Girls water polo did extremely well this season, winning their CCS division. The girl’s team had a 6-1 record in their league. The team played extremely well in the finals, beating Saratoga easily with a score of 20-10. 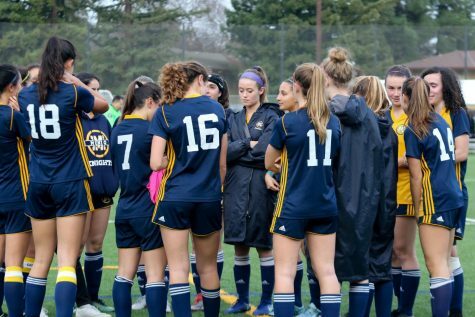 The girls were set to play in the Norcal Championship tournament this Friday and Saturday in Clovis, but due to the Camp Fire, the tournament was cancelled. 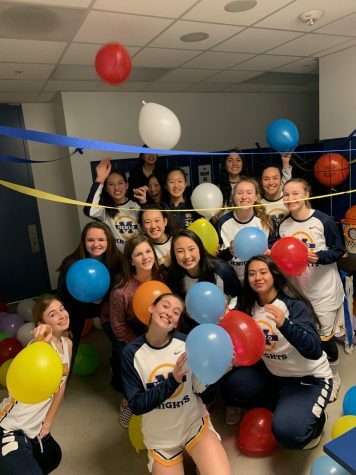 Junior Sophie Golub, who played very well in the CCS finals, is very proud of her team “It was so amazing to win and such an adrenaline rush especially since we have been working super hard these past few years for this, and it’s awesome to see that work finally paying off,” Golub said. Girls golf also had a very impressive season qualifying for CCS, with an overall record of 12-2. In CCS, the girls placed fifth in the section. Looking back on the season, Junior captain Vikki Xu is extremely happy with what the team accomplished this season. “I am really proud of how our team did, especially because we only have six players, and we all had to play every match. 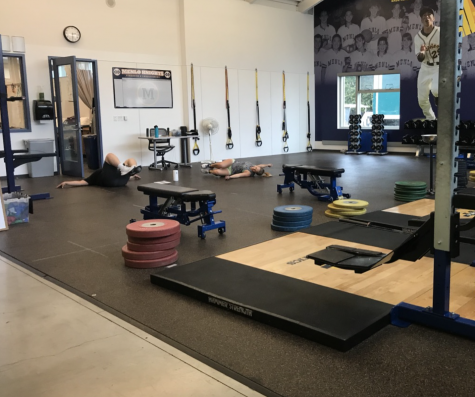 Also, because we were such a small team, we were really able to bond and support each other on and off the course,” Xu said. Girls tennis had another great season this year, winning their league for the 26th consecutive year and advancing to CCS. The team made it to the quarterfinals, blowing past Homestead in the second round, after receiving a bye for the first round. 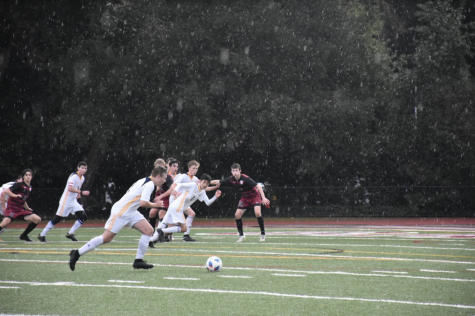 In the quarter finals, the team fell to Saint Francis though in an extremely close match, losing 4-3. Senior captain Taylor Gould was very happy with how her final season went, even if the team did not make it as far in CCS as she had hoped for. 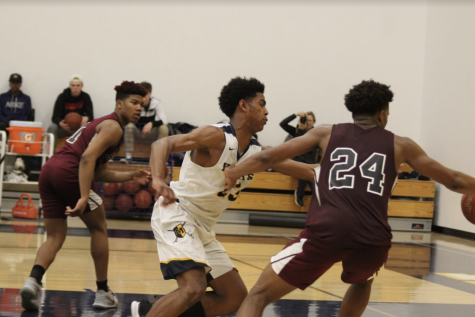 “Even though we did not get the end result that we wanted, I am super proud of everyone for doing their part and for working so hard [this season],” Gould said. Boy’s water polo also had a very successful season, with an overall record of 20-7 and winning the Peninsula Athletic League-Bay. 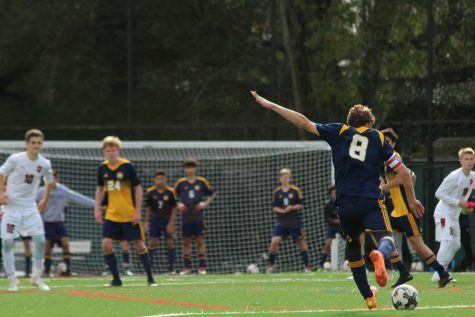 After securing the top spot in the PAL, the team advanced to the Open Division CCS tournament. 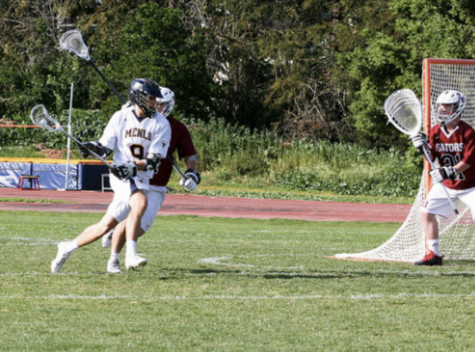 The team clinched a win against St. Francis in the quarter finals of CCS, with a score of 12-11. In the semi-finals though, the team fell to Bellarmine in a very competitive game with a final score of 13-8. 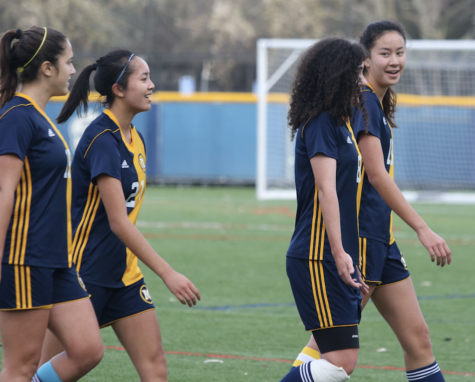 Although they were set to compete in the Norcal tournament alongside the girls, the tournament was cancelled due to poor air quality caused by the Camp fire.